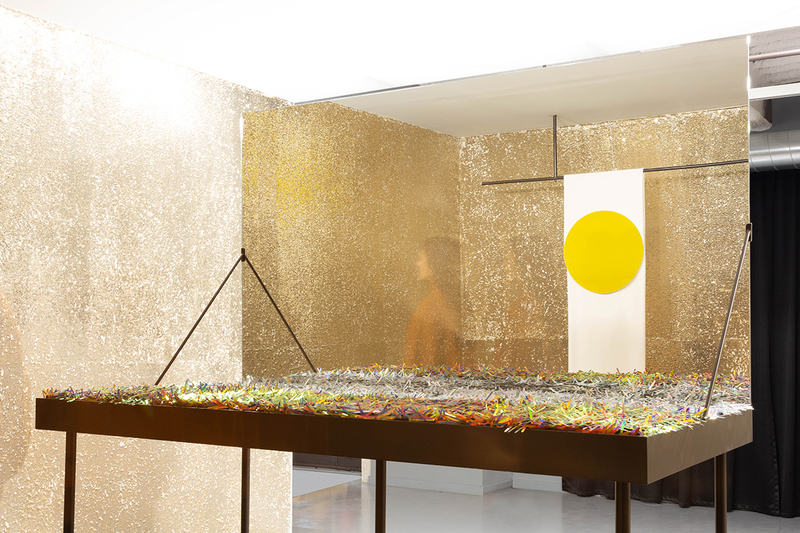 A glittery exhibition at Rome’s new interior design center, Cantiere Galli Design, presents a dreamlike landscape constructed within the confines of a small room. 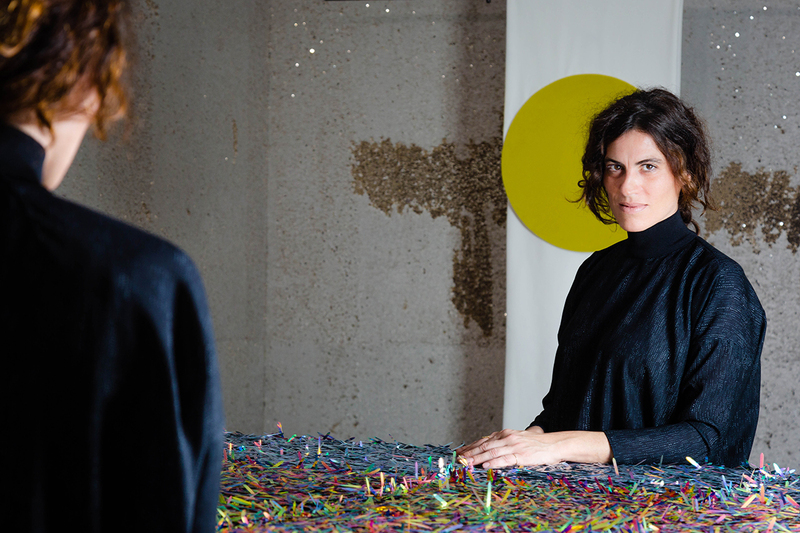 Sunset, designed by up-and-coming Italian artist Matilde Cassani, is a site-specific project that invites visitors to step into another shiny, immersive dimension. The piece is part of an ongoing series set up within the two-year-old show space called A room of one’s own. For her contribution, Cassani placed traditional furniture pieces sparingly within the room while covering the walls with a shimmery gold palette. At the center of the space is a minimalistic table holding up a mirror that reflects a hanging curtain depicting a yellow sun on the back wall. On top of the table are sprinkled shards of vibrantly colored paper that add another layer of pop to space. The whole room, a large abstract setup, is meant to seduce people immediately upon entering. Cassani’s piece is the successor to Andrea Anastasio’s vision for A room of one’s own. 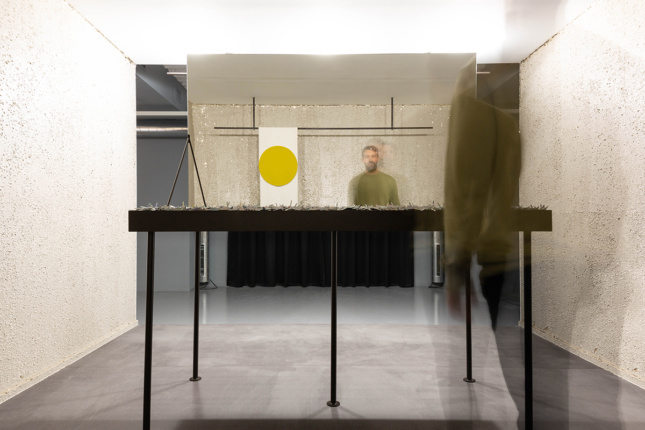 Both artists were asked during the 2019 season to design their concepts around the theme of “leaving a trace,” which was chosen by curator Domitilla Dardi. Sunset by Matilde Cassani opened in late November and is on view through April 2019 at Cantiere Galli Design in Rome, Italy.